Are you new in Ahmedabad? Planning to come Ahmedabad in Holidays? 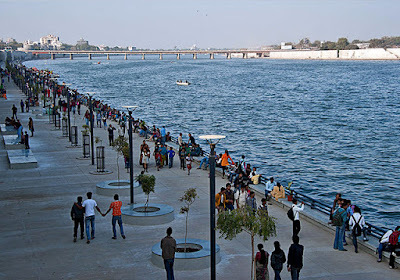 Do you know the Tourist places to visit in Ahmedabad? If not sure then read this blog post which is about top 5 places to see in Ahmedabad. 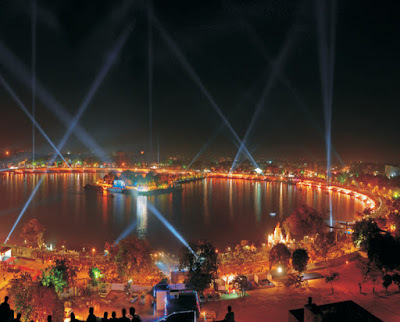 It is one of the biggest lakes in Ahmedabad. It is located in Maninagar area. Kankaria Lake is a very good place to hangout with your best buddies and family members. After the evening, this lake becomes more colorful with lighting and crowd. There are many resources of entertainment in Kankaria Lake. Toy Train, Air Balloon and many more rides are there for kids and youngsters. Recently many new and big rides came in Kankaria Lake and due to that traffic is just got double in Kankaria lake. Its one of the best place to visit in Ahmedabad. 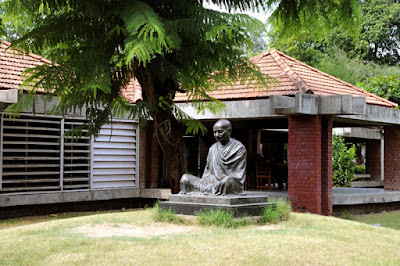 Sabarmati Ashram is located at Ashram Road, Near bank of Sabarmati river. 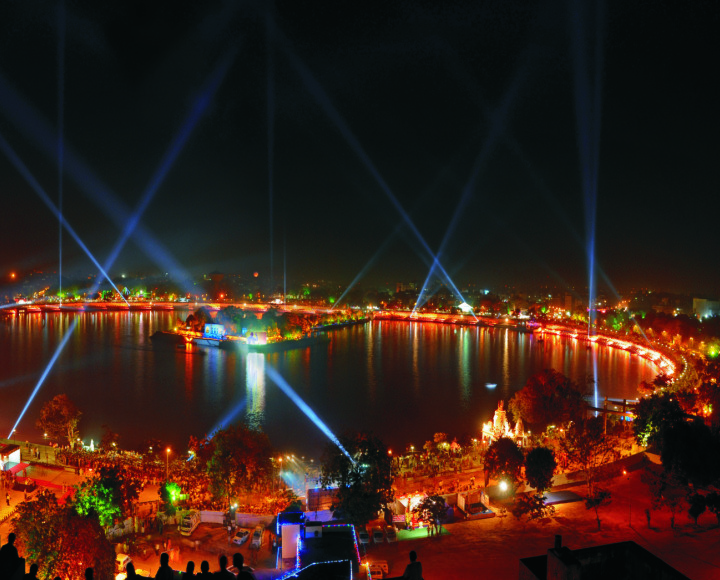 It is one of the famous tourists attractions of Ahmedabad. Production of Handicrafts, Spinning Wheels and handmade papers are being still done in the Sabarmati Ashram. It is also known as Gandhi Smarak sangrahalay. If you visit in Ahmadabad then don't miss this place. In Ahmedabad city, near sabarmati river a waterfront is developed and it is known as sabarmati riverfront. In the evening people come here in garden of riverfront. Boating is also their for kids. Its one of the best place to hangout with your friends or family. It is a famous city square in Old Ahmedabad. Manek Chowk is surrounded by many historical buildings. Its a vegetable market in the early morning, In the noon it converts in the Bullion market and at night it becomes street food market. It is one of the most famous area for street food in Ahmedabad. if you want to eat food at late night then also it will be available in Manek Chowk. 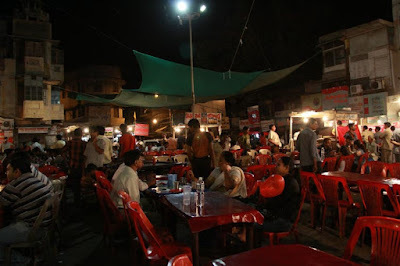 You must go for foods in the night at Manek Chowk. After visiting many places you must be willing to do some shopping in Ahmedabad. 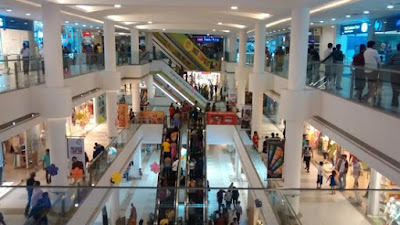 Alpha One Mall is the biggest mall of Ahmedabad located near Vastrapur Lake. You can get almost all the things in this mall. After shopping for snacks you can go to food court of Alpha one mall. Cinepolis cinema is also there in Alpha one mall. Above are the top 5 places to see in Ahmedabad. I hope this information is helpful to you. 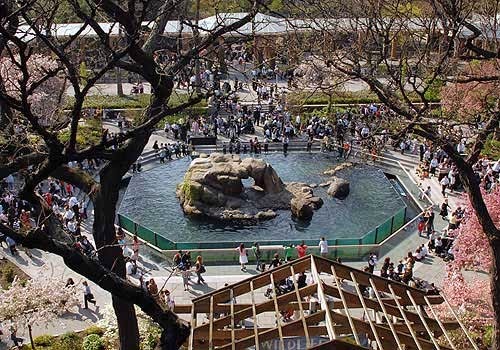 You may write your reviews about these places in comment box. Have a nice day.